Conor Hourihane continued his impressive run in front of goal and lead Barnsley to a 4-0 Sky Bet Championship win against Wolves at Molineux. 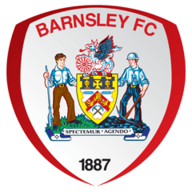 Hourihane struck for the third time in eight games this season with a smartly-taken 73rd-minute strike to hand Barnsley a deserved lead before Adam Hammill doubled their advantage seven minutes from time. Saidy Janko set the seal on the victory in the 85th minute before Tom Bradshaw completed the late rout, in which four goals were scored in 17 minutes. Barnsley have won five of their past six games, but Wolves' solid start has ground to a halt with one point in three matches. Wolves' boss Walter Zenga made five changes to his starting line-up, having made seven against Burton last weekend as he continues to operate a policy of rotation. 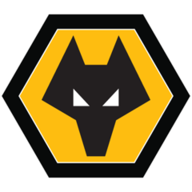 Wolves were denied the perfect start when goalkeeper Adam Davies tipped a second-minute free-kick from Jack Price over the crossbar and from the resulting corner Richard Stearman saw his close-range effort blocked in a frantic goalmouth scramble. Davies then had a clearance intercepted by Wolves' midfielder Jed Wallace, who drove forward but Davies was relieved to see his shot flash the wrong side of the post. Having survived those two early scares, Barnsley worked their way into the game, led by the impressive front-line pairing of Adam Armstrong and Ryan Kent. On-loan Newcastle United marksman Armstrong, who scored the winner on his debut off the bench against Preston last weekend, tested goalkeeper Carl Ikeme from distance in the 12th minute. He then turned provider for Sam Winnall with an excellent left-wing cross but the former Wolves trainee got in a terrible tangle only six yards from goal with the ball going between his feet. Barnsley continued to carry the more potent threat with Armstrong narrowly off target in the 37th minute after good work by Winnall. Kent and Hourihane were then denied by Ikeme in the opening stages of the second half as Barnsley continued to probe for an opening. Wolves were finding clear-cut chances hard to come by, but did fashion one in the 66th minute when substitute Joao Teixeira picked out Jon Dadi Bodvarsson with a long cross. Iceland international Bodvarsson let fly with a spectacular volley only to see his shot fly over the crossbar. It was a rare moment of promise for Wolves as Barnsley continued to look the more likely side to break the deadlock and finally gained their deserved reward through Hourihane. The Irishman was perfectly placed to rifle a low shot past Ikeme from 14 yards after the ball broke to him when Marley Watkins had seen two shots blocked. Having breached the Wolves backline, that opened the floodgates for Barnsley. Hammill was given time and space to waltz his way into the area before flashing a drive beyond Ikeme. Janko was then set up by Watkins on the edge of the area and produced a classy piece of finishing with a curling shot. The on-loan Celtic winger then set up Bradshaw who made no mistake from the edge of the six-yard box.